Large choirs repeating the same familiar repertoire year after year is not my idea of deeply enjoyable choral music. Think of it this way, as much as I love turkey with all the trimmings (I don’t mean to offend turkey lovers), goblers every Thanksgiving, every Christmas and every Easter gets tiresomely predictable. This is when tradition degenerates into cultural tyranny. Now replace the word ‘turkey’ with the Messiah or St Matthew Passion and you get what I mean. That’s why, despite the magnitude and gravitas conveyed by large choirs, I prefer the intimacy and subtlety of chamber music expressed through small choirs. Like much in life, including the joy of music, bigger is not always better. Sometimes less really is more. Fans of classical choral music, whether period or contemporary, are fortunate across Waterloo Region. The region’s rich choral heritage, which springs in large part from its Germanic roots and legacy, boasts a wealth of choirs including DaCapo Chamber Choir, Spiritus Ensemble and The Renaissance Singers. 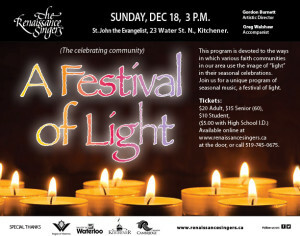 I enjoy attending Renaissance Singers concerts, which are usually held in churches in Kitchener or Waterloo. Whether the program is secular or sacred, classical or popular, the music is always well performed with deep soul. I’m constantly reminded of music’s ability to comfort and console, to inspire and transport, to enhance and transform. The 25-voice, auditioned, choral ensemble celebrated its 40th anniversary in 2012. It flourishes under the artistic direction of Gordon Burnett, with Greg Walshaw as accompanist. Burnett, who has led the choir for seven years, holds a bachelor’s degree in vocal performance as well as an opera diploma. Moreover, he just completed a master’s degree in vocal pedagogy at the University of Toronto. 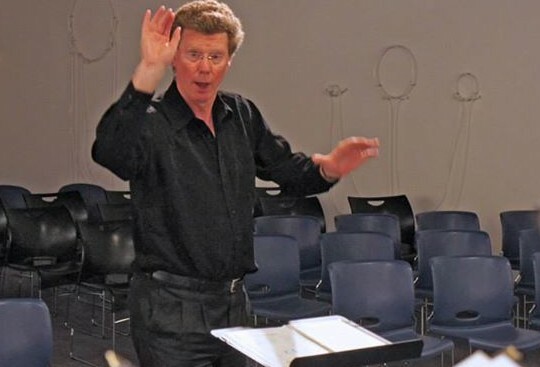 He has been a vocalist with the Elmer Iseler Singers, Tactus Vocal Ensemble, Tefelmusik Chamber Choir and Elora Festival Singers, and has led choral groups including the University of Waterloo Choir, Grand Philharmonic Youth Choir, Menno Youth Singers, Milton Choristers and the Jubilate Singers of North York. When he isn’t conducting he’s teaching aspiring and veteran vocalists alike. Burnett is also the founder and artistic director of the Voices of Hope Choral Ensemble which is dedicated to ‘helping our community through music’. The group works on projects that generate funds to support charitable organizations in the community and beyond, including Out of the Cold, the Grand River Cancer Centre, Haitian Relief, ALS Ontario and the KW Alzheimer Society. Despite its name, the Renaissance Singers perform a wide range of secular and sacred (Christian and Jewish among other religions) works spanning all major periods, including both modern and contemporary repertoire, while maintaining a particular interest in the Baroque and Renaissance choral traditions. In addition, theme concerts feature a spectrum of music spanning jazz and folk, popular and show tunes, Celtic and Latin. The chamber choir was founded in 1972 by Ray Daniels. Past artistic directors include Richard Cunningham and Jurgen Petrenko. The choir’s reputation was built on its polished performances of Renaissance a cappella repertoire. The choir also commissions and premieres work by leading Canadian composers. As the choir has expanded its concert repertoire, members have continued to embody and reflect the traditional meaning of Renaissance as rebirth or as renewed interest in something, rather than as a particular historical period spanning the 14th to 16th centuries. 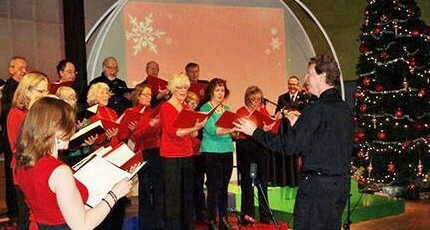 The choir hosts three concerts per season, plus an annual musical fundraiser. Various faith communities in our region use the image of ‘light’ in their seasonal celebrations. 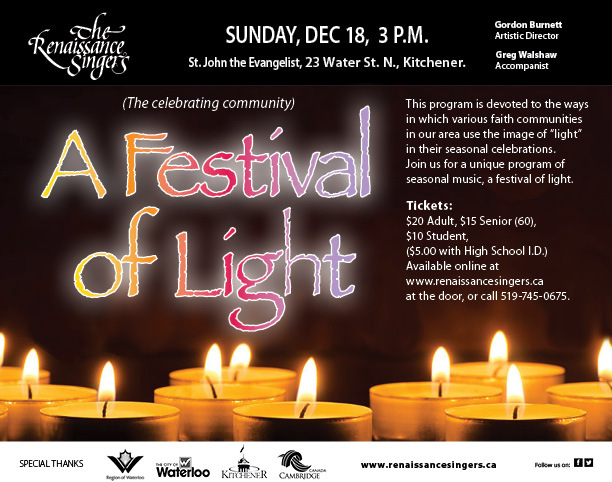 You are invited to join us for an inspiring program of seasonal music, a festival of light. Join us in our annual fundraiser and enjoy an evening of music from the coffeehouse — past and present. 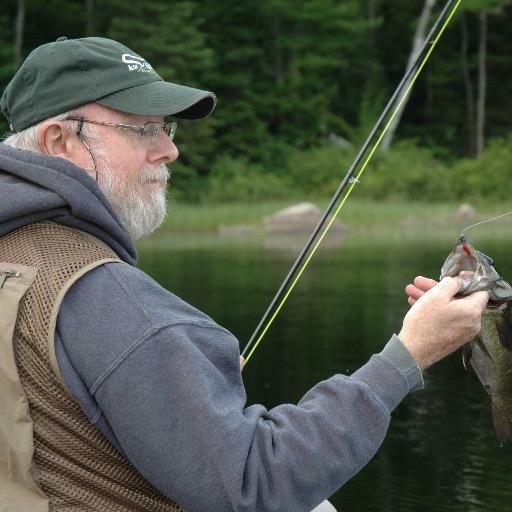 Bring your guitar and other acoustic instrument for a group ‘jam’ as part of the program. Music brings people of diverse backgrounds together and creates a foundation upon which we can build understanding and appreciation of one another. You are invited to join us in songs of peace and harmony. Debut recording featuring work by British composers Edward Elgar, Herbert Howells, Benjamin Britten, Ralph Vaughn Williams, Frank Bridge and Charles Stanford, among others. A celebration of Canadian Christmas music featuring composers Eleanor Daley, Elmer Iseler, Healey Willan, Nancy Telfer, Ray Daniels, Eric Holman and W.H. Anderson. A sampler of live performances from one season featuring Imant Raminsh, Hubert Parry, Boyd McDonald, Eleanor Daley, Richard Cunningham, Palestrina and more, including excerpts from Handel’s Messiah with the Vivaldi consort. A global selection of seasonal music from England, Ireland, Wales, France, Spain, Germany, Australia and Canada.